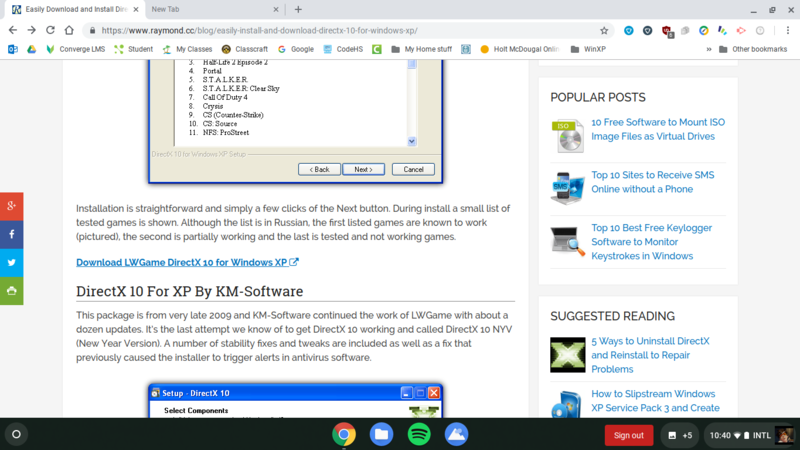 I have recently reverted to using Windows 2000 SP5.1 with KernelEx as my daily driver OS, and as such would like to provide some useful information and freeware for all WinWorld users. The KernelEx tutorial on YouTube is good, with a couple of exceptions: particularly the recommendation of Update Rollup 1. Do not install it on multi-core/CPU/HT systems, for it will make these extra threads/cores/CPUs run extremely hot and/or unstable. Instead, you can kill two birds with one stone by installing the Unofficial Service Pack 5.1 (https://majorgeeks.com/files/details/microsoft_windows_2000_unofficial_sp.html), which will also install IE6 SP1. Then install the January 2016 root update, followed by KB2817183 as in the YT tutorial, then install KB951748, then you have fulfilled all prerequisites for a stable extended kernel! 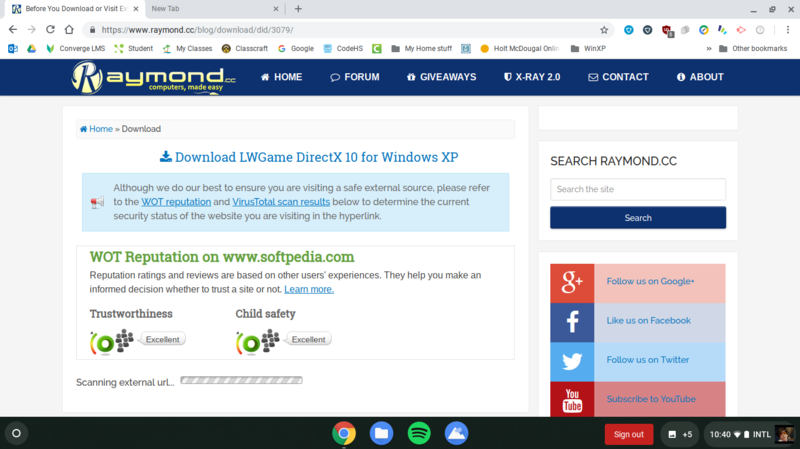 From there you can use virtually any XP-compatible web browser (although the Application Compatibility Toolkit from the YT tutorial may be necessary to trick installers). I recommend New Moon (based on Pale Moon) 28.0.0b5, which is very stable on win2k (28.2.0a1 produced occasional crashes on my end), available here: rtfreesoft.blogspot.com/2018/08/weekly-browser-binaries-20180811.html. I recommend at least 768 MB RAM if not 1 GB for modern win2k web browsing, and a dual-core processor for good results on YouTube (480p is perfect on Yonah T2400 1.83 GHz whilst my Core 2 Duo E6700 2.66 GHz can do 1080p well). While I'm at it, here is some very hard-to-find but useful free software/supplements for Windows 2000 SP4+. First off, this is the first stable release of the Office 2007 Compatibility Pack for 2000/2003 (and unofficially 97). It was deleted from Microsoft's website although they kept a beta version up (how responsible): https://mega.nz/#!h1ElHKhR!6ruau-WYsP3vXK0mFQaXxJRVDU6Iww1P3ZmHVUVw4iE. Later versions dropped Windows 2000 support. Official Windows 2000 hotfixes can be found at windowsarchives.com, whereas blackwingcat's unofficial extensions/drivers/runtimes etc. can be found at w2k.flxsrv.org/wlu/wlu.htm. I do advise that mission-critical and sensitive tasks such as financial transactions be left to newer operating systems which may provide better security. I am not responsible for any harm resulting from using these tips. Thanks for the office compatibility pack. I'll give this a try with office 97, provided I can keep powerpoint from crashing. Office 97 just doesn't like nt 3.51. That's interesting. I've never had an issue with the SP4 Update Rollup on multicore systems. The first one I used it on was a T60 and that worked fine. Another thing I've discovered is that the modified Pale Moon 26.5, as provided from the browser link above, may be a better choice for stability (no crashes unlike 28.x) and RAM usage though you will have to sacrifice anything above 360p on YouTube and deal with a few rendering issues. It works on Windows 2000 without unofficial updates. Have you tried the XP drivers? Don't use the install programs, just use the basic driver and install it the old-fashioned way. Many times it will work. Or, sometimes a driver for an older model will work with a newer model. I have a Brother HL-L2340DW and I've gotten that to work on both 2000 and NT4 using drivers from an older, similar model in the series. My Canon MX492's drivers installed fine, but I couldn't get wireless printing to work. USB printing should work though. It was bought new in 2016 so it would be impressive for it to work in 2000. I added my Galaxy S5's hardware id to usbstor.inf though that didn't succeed. Couldn't really find any proper drivers either. In that case, VirtualBox 1.5.6, compatible with 2000 SP4, apparently supports USB host-to-guest passthrough so that could be the solution for USB devices incompatible with 2000 itself. In fact I tested Windows 10 in a VM under win2k but it wouldn't install citing a lack of PAE (which the PC's C2D does support). I'll have to convert that install to advanced server and enable PAE there to see how far I can go. All I can say is that I really do like working with win2k and feel far more comfortable working with it than win10. I have recently reverted to using Windows 2000 SP5. Did you mean SP4? Because there is no SP5 for Windows 2000. The official Windows 2000 SP5 was scrapped by Microsoft in 2005 and replaced by Update Rollup 1. However, an unofficial service pack 5 (and later 5.1) was shortly released, built in the same way as an official Windows 2000 service pack. It can even be slipstreamed as a service pack into win2k installation media using nLite. Here is a guide to produce a fully-slipstreamed win2k CD, which adds many utilities on top of the unofficial service pack. Unfortunately slipstreaming could be a very difficult proposition for those with high definition audio buses, particularly 60-series ThinkPads where KB888111 and the audio driver must be installed prior to USP5.1. I'll have to see if slipstreaming KB888111 will fix this problem. Well, it turns out that slipstreaming KB888111 fixes the bug that causes the soundmax HDA bus drivers to fail to install under the circumstances mentioned above. Windows 2000 is soooo fast compared to XP/2003 on the same hardware, especially with slipstreamed hotfixes and SATA drivers. It's sad to think that there was a time when Windows updates actually fixed and improved the OS. Meanwhile my Windows 8.1 AiO HP crapbox already had its Windows install commit suicide before on account of updates and is now dealing with Intel graphics driver troubles. In other win2k news, TRIMing an SSD has gotten easier with this utility. Meant primarily for Windows XP, .NET Framework 2.0 SP1 seems to be enough for it to run under 2000. I'm not sure if it actually does anything, but it does check partition alignments anyway. You can also leave your workstation idle at the login screen for 30 minutes per week to allow the SSD's internal "garbage collection" routines to perform their magic. There is an issue caused by something on the slipstreamed win2k CD that doesn't occur with my manual installation method: a bug affecting win16 applications which causes them to crash when a menu bar item is clicked. There are some additional hotfixes and a couple of shell extensions/utilities that are present with the slipstreamed image and not with the manual install method. My solution for now is to use Windows 3.11 in DOSbox in 2000. I have found the problem: a utility called MMM that helps add additional options to right-click drop-down menus. When disabled win16 applications are working properly again and I can take Windows 3.11 out into a dark alley to shoot it. Don't forget to install the Microsoft Visual C++ 2010-2017 runtimes from Windows Legacy Update. Some API calls that are used by New Moon 28.x are included in them (hopefully they should help fix the minor stability issues that are present without them). Now I'm trying to get 2000 to work with relatively modern commercial productivity / creativity software. Adobe CS2 / Premiere Pro 1.5 is the last version to officially support Windows 2000 SP4. Attempting to install Premiere Pro 2.0 gave me an error about my CPU lacking SSE2 (on a core 2 duo) once the application compatibility toolkit was applied to the installer. I removed the SSE check using Orca but it would then refuse to accept the valid product key, making it uninstallable. It could work if the program was installed in XP and copied. All Adobe CS3 components install after using ACT on the installer, because some code baked into the installers of specific programs only blocks Server 2003 and not other versions. However, most crash on startup unless ACT is also applied to the program executables, then they start to exhibit unusual behaviour (such as being unable to load one file in Photoshop, claiming too many files were selected then toolbars become unresponsive) and crashes within. The only programs in the suite that work properly are Acrobat 8.1 Pro (which natively supports 2000), Flash and Fireworks. Due to the lack of Adobe compatibility, I use the last supported version of Ulead VideoStudio, 10 Plus. I saw references to Corel VideoStudio on win2k though, so I tried X2 (version 12) and X5. X2's installer gave some sort of DLL error so a no-go. X5 installed perfectly without needing ACT but crashed on startup. I was unable to find X3 and X4 trial versions but I assume those may be the functioning versions with the extended kernel. I just wanted to add a couple notes. Mypal browser (formerly New Moon) 28.2.2 works very well with the kernel extensions, and the latest version of OpenOffice works without any unofficial patches. @nick99nack are there still any issues with crashes due to heavy youtube usage? Scribus 1.4.7 (the latest version) still supports 2000 SP4. And I have some breaking Windows 2000 news: Serif PagePlus X7 from 2013, which officially requires XP SP3 or above works fully in win2k. It's like Publisher 2003 on steroids, down to the toolbars (but a Windows 8-inspired look is implemented in other parts). One fewer reason to downgrade to XP or 10. How much is heavy? I'm not a huge YouTube watcher, but I've watched videos with it and didn't have any problems (I think 4 or 5 in a row is the most I did with it). I can't remember for sure, but I may have had the YouTube Classic add-on installed. The 2k computer I used is at my house up north and I'm back down south now, so I can't check. I did about the same and it would sometimes crash. Other times it would take about double the videos. The crashes are registered in Dr Watson as an exception in RtlEnterCriticalSection (77F87EEB). It crashed with either adblock latitude or ABPrime add-ons. Now I'm just trying to get to the bottom of accessing my Galaxy S5 in win2k. I installed BWC's WMP10 which comes with the applicable MTP drivers, but none of the files can be opened or copied, only deleted. If no program can properly access the files under 2k, I'm setting up a virtualized XP with WMP10 and hopefully access my phone and USB analog video capture device. I use uBlock Origin with mine. I also have an S5 here, I'll try connecting it and see what happens. I tried the S5 in XP with VMWare Player 3.1.2 (which needs a patch from BWC to enable some of its services, including USB). It's even less capable of accessing it (can't even open the folders) even after installing the Samsung drivers, so I'll have to use it on the tried-and-true Windows 7. On the other hand, the USB video capture device just needs some inf editing to work in win2k, so my work is done. Interestingly, VMWare does a nice job of virtualizing a processor's extensions; PAE isn't enabled on the host but it was in XP. Apparently you can even run a 64-bit OS under a 32-bit one, and if it does virtualize the NX bit, then it could be possible to run Windows 10 under win2k. XP is kinda sluggish so it would probably freak out on 10. If the NX bit isn't virtualized, then Windows 7 will be the newest version possible. Unfortunately, VLC poses an issue in both the latest version and the last supported version on win2k; the inability to play network streams. Going through the logs I see it can't make a TLS handshake and fails. I do not know if this is a modernization tip, but during Setup, pressing SHIFT+F10 opens a 'Command Prompt' window; keeping this open, you are able to set up your drivers as the GUI phase of Setup runs (the devices will work at Win2000's first run). I think you are also able to install various Service Packs during this phase, although that is something I will be testing, if possible. You can also use Trisquel Linux 8.0 to format your FAT32 and NTFS partitions (this way, if you want, a FAT32 partition serves as your boot, while your NTFS serves as your root, partition); I have successfully done this, labeling my disks '.boot' and '.win2k', respectively. That could be an alternative to slipstreaming with nLite or HFSLIP, although I don't see any advantages. But different ways of formatting partitions than with 2000 setup are interesting. I use an XP or 2003 CD to quick format my partitions (and a 7 DVD to set up partitions for SSD alignment). Could this Linux do SSD aligned partitions, make FAT32 partitions greater than 32 GB and is available in live CD format? I ran the Trisquel LiveCD. I ran gparted in Trisquel-Live to create partition table msdos; created 2 50GB (50000MB) partitions of FAT32 (I think I labeled it .boot) and NTFS (I think I labeled it .win), respectively, in that order; set the FAT32 partition to bootable (in gparted, you manage the flags after format). I opened a terminal and respectively labeled the partitions. That is what I did, anyway. Turns out you can extract the driver files to their appropriate destinations using some of the applications; I just have to figure that out! Another Windows 2000 kerfuffle has arisen: with regards to media players. Version 1.1.10 is the last version to officially support win2k, and works very well (the "directx wallpaper" actually produces an equivalent to dreamscene from vista ultimate). Unfortunately audio input from my USB video capture device isn't supported until version 3, so I upgraded. Now I can make decent recordings from the capture device (but not with D3D9 acceleration which crashes it now; opengl is choppy, but DirectDraw and GDI acceleration are good). As for opening local video files, that is now an impossible task. So I decided to install the latest MPC-HC, which always crashed on startup. Then whilst looking for the last 2k-compatible version, a support ticket about support hinted at usage of .NET Framework 3.5 and 4.0, the latter I didn't have. Now it's installing and hopefully it should work now. UPDATE: VLC 2.2 is the last good version with the Windows 2000 extended kernel v2.8iG. And .NET 4.0 didn't fix anything with regards to MPC-HC 1.7.13. The Windows 2000 Media Consumption/Capture Crisis has come to an end after a 26 hour standoff with semi-depreciated versions of the media players VLC and Media Player Classic-Home Cinema. The latest version of the competing PotPlayer, version 1.7.16291, was instrumental in ending the standoff early Wednesday morning, by combining all the functioning features of previous versions: local video viewing, video and audio capture, in addition to a feature no version of the former media-playing giants could seemingly provide on the Windows 2000 operating system: a stable client for viewing YouTube videos, which can also be recorded in VMR9 Renderless Mode, with best results when files are saved in .mkv format. According to several reports from Internet forums, VMR9 may not function properly when the /3GB and /PAE switches are utilized in boot-up, which could pose problems for higher-end Windows 2000 systems. 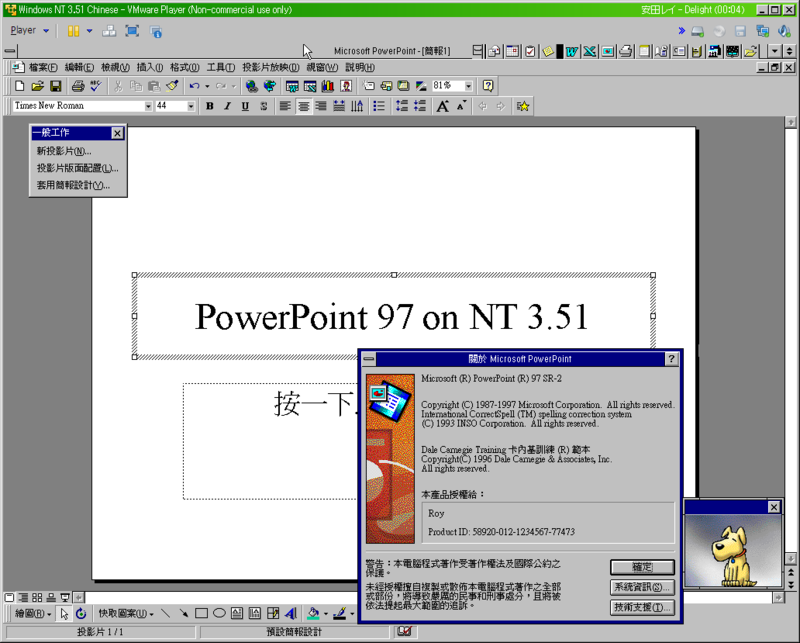 Adobe CS4 applications produced mixed results on Windows 2000. Photoshop CS4 Extended worked perfectly, aside from issues with a window border occasionally overlapping the toolbar drawn by PS, much like Office 2007. I haven't tested any third-party plugins. Unfortunately, Adobe Bridge crashes and nothing more. Premiere Pro is also crash-happy. Use Premiere Pro 1.5 (last version that supports win2k; though if an installed Premiere Pro 2.0 is copied over from XP I think it will work too), Corel VideoStudio X2-X4 (?) (I believe they do work; X5 doesn't), or Serif MoviePlus X6 (very stable and functional). After Effects keeps throwing a "no anti-aliasing settings found" error so that's useless too. Version 7.0 (CS2) officially supports XP but I got it working in win2k awhile back so use that instead. Illustrator and InDesign work fine, on the surface, but are incapable of importing, opening and saving files! A workaround for opening files is to do that from Explorer but the later flaw is obviously a fatal one. Use recent versions of Serif DrawPlus/PagePlus (which I tested above), or the latest version of Scribus (don't know about inkscape). Flash and Dreamweaver seem to work fine. UPDATE: The Photoshop CS5 installer failed to properly initialize on Windows 2000. I believe that recent Adobe installers rely on IE for rendering text; for instance, Adobe CC 2018 installers won't render properly with IE 8 on Windows 7. In this case, I've got IE6 SP1, and CS5 supports a minimum of XP SP2 which has IE6 SP2 integrated. I'll try installing in my XP SP3 VM then copying the installed folder back to win2k. I wasn't able to download anything from that site. Unfortunately I don't have any dx10 games at my disposal either so I wouldn't really be able to test it. blackwingcat puts a stub for dx10 in his extended kernel as well, and I think he tried the Alky implementation of dx10 in win2k awhile back, with abysmal results.